As part of National Public Health Week (April 1-7), the Pierce County Public Health Department selected five Public Health Heroes for their work in preserving, protecting and promoting the health of Pierce County residents. The Heroes are from a wide range of sectors and backgrounds, but all make a positive impact. Local public health departments must rely on partnerships in other sectors to influence the conditions that impact people’s health. The Pierce County Public Health Department is proud to celebrate our partnerships with these remarkable individuals. Natasha is the Director of Community Health Improvement at Western Wisconsin Health in Baldwin, WI. She oversees the Community Health department, Integrative Health Services department, and Fitness Center, and is part of the Healthier Together Pierce-St. Croix Coalition leadership team including co-leading the Mental Health Action Team. Natasha was selected as a Public Health Hero in honor of her commitment to improving mental health in our communities. She has been active in bringing diverse partners to the Healthier Together table to work towards reducing stigma and increasing access to services. Prior to taking her current position in 2014, she practiced as a Registered Dietitian Nutritionist at WWHealth and prior to that at Midelfort Clinic (now part of Mayo Health System) in Eau Claire, WI. 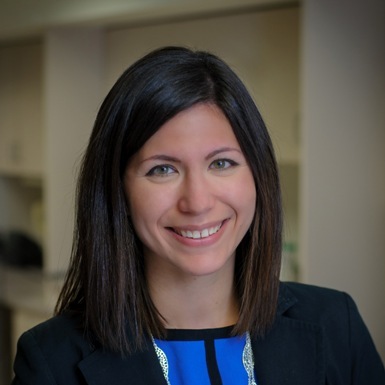 Natasha has a Bachelor of Arts degree in Nutrition from the College of St. Benedict in St. Joseph, Minnesota and has completed many courses in leadership development, strategic planning, and population health. Lori Zierl, UW-Extension Human Development and Relationship Educator and Professor in the Department of Family Development, works to deliver local and state-wide family life initiatives focusing on the social and emotional health of children, families and communities. She is nationally certified as a Strengthening Families Protective Factors trainer and an Adult Mental Health First Aid trainer. Lori was selected as a Public Health Hero for her ability to strengthen partnerships across state and local agencies, organizations, coalitions, policy-makers and service providers poised to address social, health and economic conditions that promote child and family wellbeing. John DuBois has been the Chief of Police in Spring Valley since 2013 and has been in law enforcement since 2003. He holds an Associate Degree in Criminal Justice and Bachelor’s and Master’s Degrees in Public Administration. John is the Vice Chairperson of the Pierce County Criminal Justice Coordinating Council, where mental health has been an ongoing topic of discussion. Chief DuBois was selected as a Public Health Hero for his work with children and teens facing mental health issues. He is a valuable resource for the Spring Valley School District in working with families and serving as a caring adult role model. Founder of Powered on Well, Corporate Wellness Advisor, certified Health Coach, Youth Fitness Specialist, and mother of two, Taren Weyer wears multiple hats. Taren was selected as a Public Health Hero for her commitment to obesity prevention programing. Since founding Powered on Well in 2016, she has coached over 125 girls for their first 5K race, encouraged 785 youth as they set and reached new goals through the Healthy Kids Running Series program, helped over 220 families plan and prepare healthy meals for their dinner table, and supported numerous community members as they took their first steps towards a healthier lifestyle. In the summer of 2019, she is launching eight new POW! Girls Running Team locations to continue empowering girls as they train for a 5K. Max Neuhaus is an attorney in private practice at the law firm of Rodli, Beskar, Neuhaus, Murray and Pletcher, S.C., in River Falls. Max was selected as a Public Health Hero for his legal advice and counsel to area non-profits and charities that seek to improve public health. In recent years, Max’s work has included providing legal services, at no cost, to the following non-profits focusing on public health initiatives: Big Brothers Big Sisters of Northwestern Wisconsin, St. Croix Valley Habitat for Humanity, the Victory and Valor for Vets Project, the Free Clinic of Pierce and St. Croix County, the River Falls Athletic Boosters Club, and Halos of the St. Croix Valley. Along with being listed in Super Lawyers Magazine, Max has been inducted into the Wisconsin Pro Bono Honor Society by the Wisconsin Access to Justice Coalition.